In recent years, house music has gripped the planet like never before. However, since the first four-on-the-floor beats worked their way out of New York and Chicago and onto the dance floors of Europe (ahem, Ibiza) and the rest of the world, it hasn’t always been a smooth ride. House's mainstream popularity has, at times, dipped a little, though its underground following has never been anything less than rock solid. And, for decades, its enjoyed a global centerpoint in glorious Ibiza, Spain where, during the summer months some of the world’s most famous clubs (DC10, Amnesia, Space, Ushuaia, Sankeys) host some of the globe's best-known parties and DJs. Its an influential music paradise. Since 2010 or thereabouts, house music has had a massive resurgence, with chart-topping acts like Disclosure helping to bring that chill house feeling back into the public’s consciousness. Acts like this helped bring house music to the festival realm, which began its own explosion around the same time. Thanks to festival promoters who've booked house DJs as their headline acts in recent years, several key festivals and locations have become veritable Meccas for this musical style. 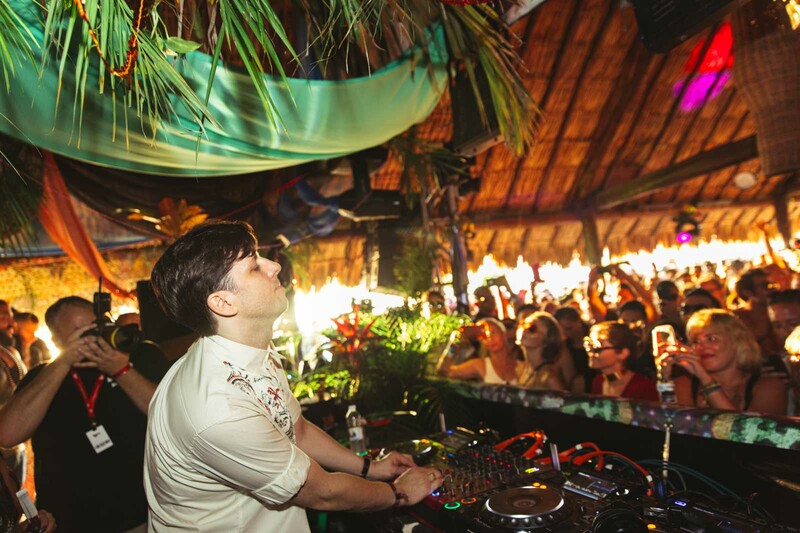 In gorgeous Playa del Carmen, Mexico, BPM takes over beaches and clubs each January for a booming 10 straight days. Starting out in 2008 as a rather modest affair for bartenders, promoters and musicians (BPM) to network and party together, in less than a decade it has exploded into a mammoth event, attracting over 70,000 dance music fans who come from 72 different countries to see 375+ artists. DJs like Carl Cox, Damian Lazarus, Jamie Jones, Apollonia, Solomun, Lee Burridge and countless more bringing endless untz-untz vibes to the beachside resort town for a much needed respite from winter. Not only that, it's an amazing way to explore the history and heritage of the Mayan Riviera. For Desert Hearts, the vision is clear: One stage. One vibe. One love. It boasts 100 straight hours of house and techno music (definitely not a festival for those who like sleep) by the Desert Hearts crew (Lee Reynolds, Marbs, Deep Jesus, Mikey Lion, Porkchop) and their pals. 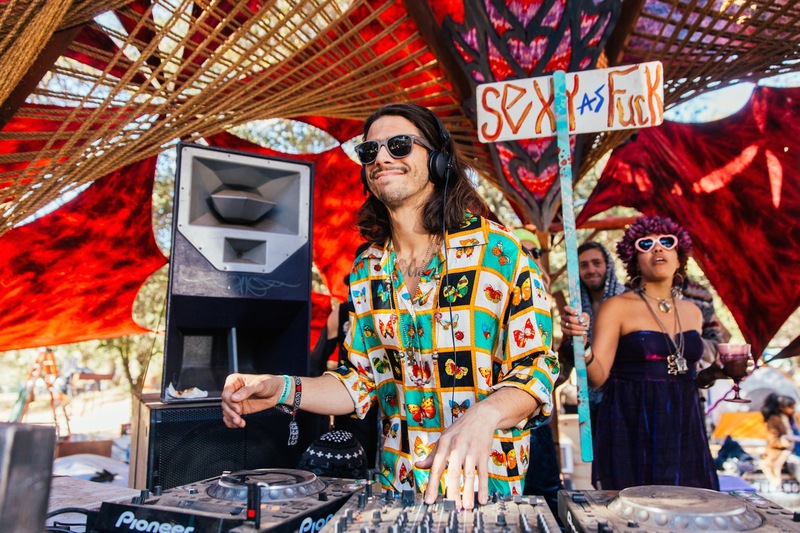 The desert festival has grown exponentially but its size remains refreshingly intimate – and they plan to keep it that way for the foreseeable future. “Anything over 3,000 and people wouldn’t feel connected,” says founder Mikey Lion. That helps the music curation stay focused and cutting edge, making Desert Hearts a solid house music Mecca. For this young music festival, the island of St Martin welcomes some of the world’s top house and techno DJs. Don’t expect Calvin Harris or Avicii, though: It’s all focused on the deeper side of house music, so think downtown Miami during the Winter Music Conference, or perhaps Output in New York. The vibe is one of electronic decadence, and parties will be going down on beaches and by pools all over the bucolic island. Jamie Jones, Maeco Plex, Guy Gerber, DJ Tennis, and Bedouin all performed in SXM's first year, and its second year is still rife with stars like Fur Coat, Lee Burridge, Bob Moses, Nina Kraviz, and many more filling out the 2017 lineup. When you hear the name Eastern Electrics you know you’re going to experience a quality event. Built on a foundation of top-notch warehouse events, the Eastern Electrics brand branched out into festivals 2012. Organizers' first one-day event did well, while their second (and way more ambitious) three-day festival left them bankrupt. They came back in 2014 with a more considered affair and have been very successful with both the 2014 and 2015 editions. With expert lineup curation focused on a who’s who of house gods and goddesses, Eastern Electrics delivers exactly what every true house lover wants: that impossible-to-describe "feeling." 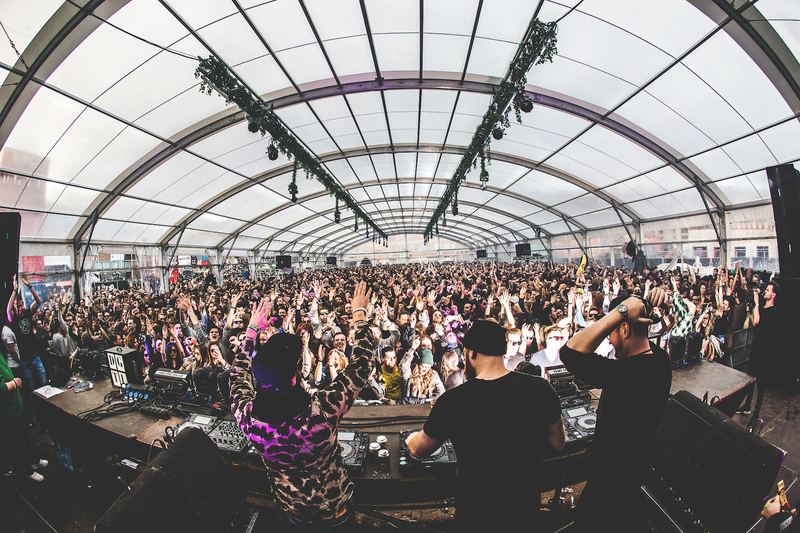 Though its music policy is quite mixed – in previous years Skrillex has been billed alongside DJs like Ricardo Villalobos and Loco Dice – Hideout can definitely be considered a house mecca. When you look at the lineup and see names like Julio Bashmore, Hannah Wants, The Martinez Brothers, Hot Since '82, Bicep, Jackmaster, Eats Everything and Darius Syrossian (just a few out of over 100 names on the bill) you know that house music all night long (and all day) is a distinct possibility. All of this in a sun-kissed paradise makes it an essential destination for house lovers all over Europe and beyond. In EXIT’s Dance Arena, which is without a doubt one of the best rave spaces on the planet, a myriad of top DJs have performed over the years since it first started. From legends like Kerri Chandler and Groove Armada to more contemporary underground names like Heidi and Kim Ann Foxman, Dusky, Seth Troxler, tINI and even the big commercial acts like Swedish House Mafia and David Guetta, visit EXIT in any given year and you’re bound to encounter at least five of the world’s best house music DJs. For that reason alone, it is a house mecca. And did we mention the entire festival takes place in a 17th century fortress on the banks of the Danube River, and it's free of corporate sponsorship? All hail! 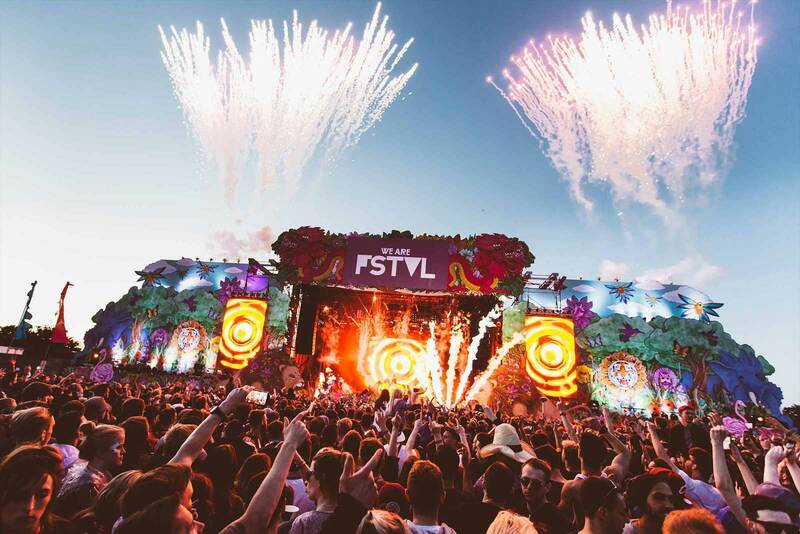 WeAreFSTVL came onto the UK scene with a bang and has remained big and bold ever since. It's picked up UK Festival Awards for Best New Festival and Best Medium-Sized Festival since its emergence, and unsurprisingly so. 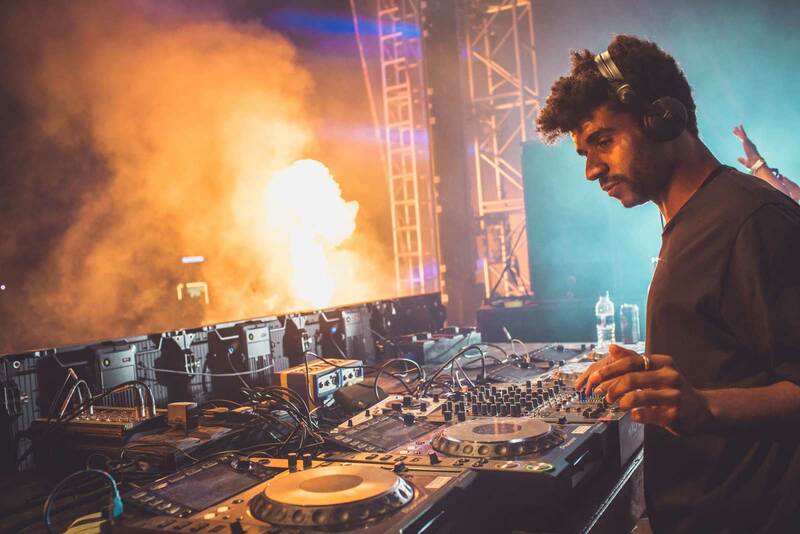 It's not all about house at the festival, but, again, their booking policy is what makes it a huge attraction for house heads; you'll find Jamie Jones and his Paradise stage, MK and his Area 10, Defected In The House, Guy Gerber's Rumors, London's Half Baked and Do Not Sleep all focused on house and its many sub-strains. Each year is bound to be another cracker. What's now called the "Romanian sound" has helped to bring the eastern European nation to the attention of the world. Exponents of the nation's electronic music scene include Livio & Roby, Raresh, Rhadoo, Petre Inspirescu, Praslea and several other key players who've cultivated a moody, organic style of music that has been adopted by fans across the world. Taking advantage of this boom, Sunwaves takes place twice a year: once in May and again in August. With Zip, Ricardo Villalobos, Bill Patrick and younger names like Cristi Cons on the lineup it's an absolute dream for house enthusiasts and lovers of deep, underground sounds, whatever the style. Jaymo and Andy George head up this immersive festival held in the Lincolnshire woodland, deep in the British countryside. The DJ duo has carved out its own pathway since picking up a show on Radio 1, setting up its own label, Moda, and becoming house powerhouses in the process. Their lineup curation includes one big house name after another. Dan Ghenacia? Check! Jeremy Underground? Check! Ben Pearce? Check!…you get the idea. It’s a big one, and held in a very special location. It's only in its second year, but worthy of being named a house Mecca. In the Spanish city two separate events happen in tandem with one another: Sonar Festival and the so-called "off parties." As so many festies hit Barcelona for the main event, promoters, artists and labels from around Europe put on parties in venues across the city to cater for those who want a little something extra. 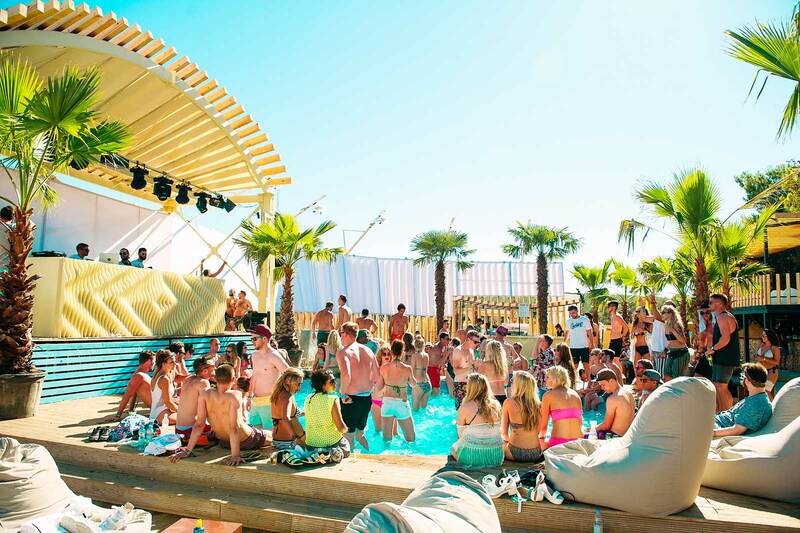 The off parties are very house-focused (with a bit of techno too), and undoubtedly some of the best day and night events in Europe during the summer. With venues ranging from swish hotel rooftops to breezy beachside stages, it’s worth hitting Barcelona for the off parties alone. One of the original meccas for house music, Winter Music Conference never fails to attract big guns (as well as lots of wannabes and up-and-comers). Despite an increasing amount of big and brash EDM, there is still a very strong house music presence in Miami. From local head Jesse Perez and his excellent Mr. Nice Guy label and associated parties, to Felix Da Housecat, Masters At Work, Dennis Ferrer, MK and plenty more, it’s a haven for house diehards and anyone who loves a kick, hat, snare and groovy bassline. Even Diddy gets in on the act, hosting an after-party at his mansion at the end of every WMC week. Special. 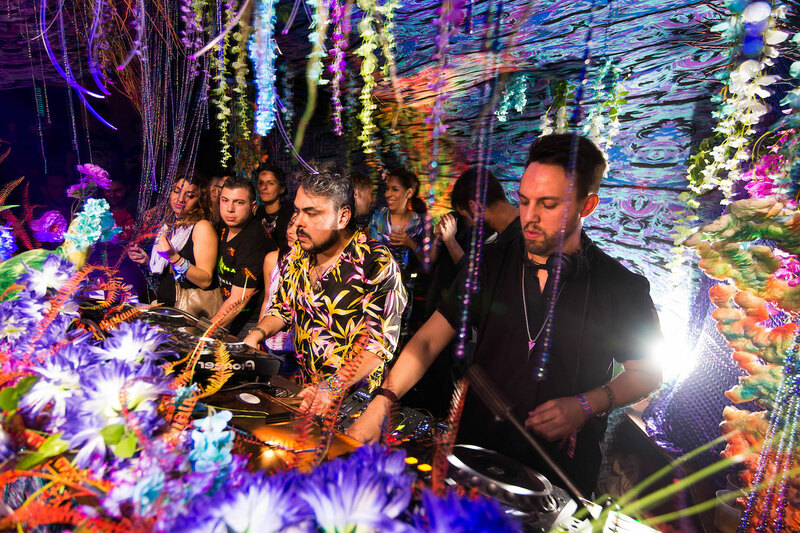 Like The BPM Festival in Mexico, Amsterdam Dance Event has roots as a massive electronic music industry gathering where the creme de la creme have gathered for years to talk, learn from, and dance with one another. It's since expanded to take over multiple venues, clubs, cafes, galleries, and cinemas around the city. In its entirety, ADE involves an astronomical 450 conference and music events – including over 2,200 DJs. It’s all business during the day with presentations and networking opportunities. 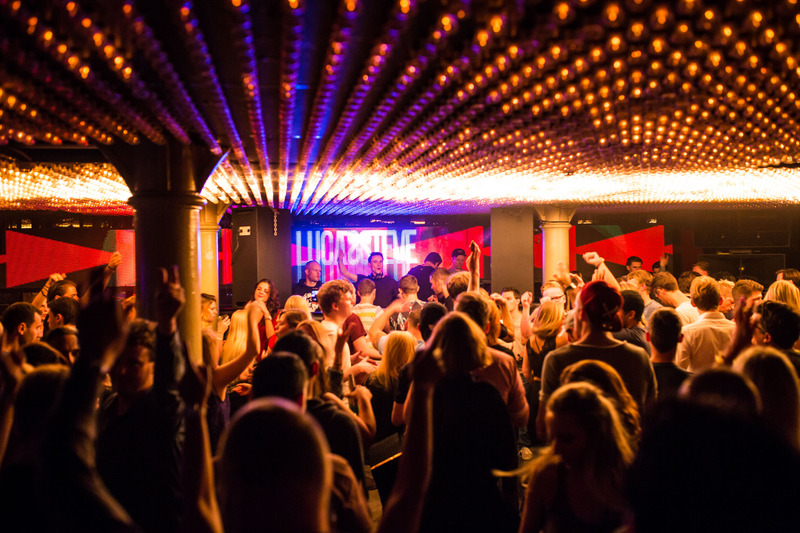 Things really take off at night, when the who’s who of club music creators and aficionados take over the town. Any situation where you have so many genre aficionados in one place, you're destined to have an amazing curation of both well-known and underground house music on deck. Every year during Memorial Day weekend (late May) in downtown Detroit, upwards of 100,000 sweaty music lovers gather at Hart Plaza for the Movement Electronic Music Festival. While countless indistinguishable music festivals take place across the globe these days, Movement is set in the birthplace of techno and house music—and today hosts a stellar lineup of world famous DJs along with an organic homegrown salute to the local artists of Detroit. Top DJs who have performed at the Movement Electronic Music Festival include A-Trak, Adriatique, Carl Cox, Derrick May, Diplo, Fatboy Slim, Jacques Greene, Model 500, Richie Hawtin and Skrillex. Top that off with the fest's six technologically rich stages, free WiFi access, VIP access and dozens of official after parties, and you've got a bona fide house music destination to put on your bucket list. Three and a half years ago, DGTL began as a gamble to find a new festival concept boasting a more selective approach to programming than most other festivals. Its 2013 debut sold out, which established its reputation as the region's newfound festival season opener. Music-wise, DGTL sets itself apart with balanced programming. While other festivals hinge on ticket-selling headliners, DGTL evens out its musical assortment by combining bigger names with a wide variety of local and international upcoming talent, together with unexpected back-to-back sets, such as when Job Jobse shared the stage with John Talabot in 2015, churning out one of the most memorable performances that weekend. The festival's lineups and performances feel delightfully risky, and keep the crowd on their toes and thirsty for more.